The history of our company starts right in Custoza, where our family has always cultivated with passion the vineyard. The first winery of the Adami family was the great-grandfather Marino (nicknamed by his friends "Ciampani"), who in the 50’ sold his own wine in the family Hostelry in Custoza, accompanied by bread and salami strictly homemade. It was then in the '80s with the arrival at the farm of grandfather Gaetano that a small local trade of wine in demijohn began, and hence the first winery in the Borgo Valbusa was born. Wine on tap to the first labels was a quick step. Gaetano started the first production under the “Adami” brand, with the DOC lines of Custoza, Bardolino and Bardolino Chiaretto. The first bottles of these typologies were of 1983 vintage. Love for the vineyards and passion for wine are also passed on to the son of Gaetano, Aldo, and in 1987 father and son took the decision to build a new 300 square meter cellar and invested in new machinery. These were years of great emotion. The year 2000 marks the beginning of a new era: Aldo decides to set up a major modernization process for the business, both in terms of quality and organization. On the one hand, a decision was taken to extend the experience gained by purchasing other hectares in Custoza; on the other, the project for the extension of the existing winery to create a new one of 1000 square meters, technological and functional, which would be opened in 2003. Since 2015, Aldo's daughter, Deborah, is part of the company, and family wines began to cross national boundaries. “Today we are still a family-run business that cares with passion its own lands. Without neglecting innovation, we particularly focus on the tradition and teachings left over in the years, keeping the same spirit, the same desire to improve and the same passion for wine. 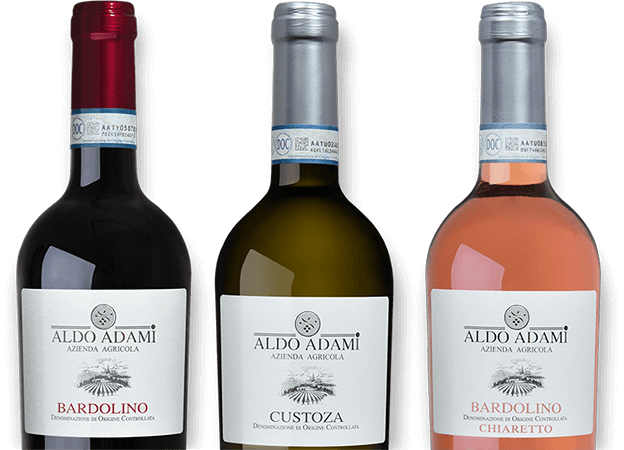 The Adami family welcomes you for guided tours, tastings and events at its hillside winery encircled by an indescribable unique panorama. Stay up to date on the surprises, subscribe to the newsletter!